I’ve come here today to give a eulogy for canned cranberry sauce. Once you make your own sugar free cranberry sauce, you will never go back to those sugary can shaped monstrosities that pass themselves off as cranberry sauce. They could never compete with the recipe I’m about to share. It’s got four ingredients, comes together in 10 minutes, and tastes divine. Oranges are frowned upon in low carb circles, but we’ve got an orange cheat for this recipe. We’ll use orange zest to give the sauce a lovely citrus note, but without any extra carbs. This is a recipe that can totally pass for normal cranberry sauce. Bring it to Thanksgiving and no one will be the wiser. So RIP Canned Cranberry Sauce. We barely knew ye. This is a low carb and sugar-free cranberry sauce with only 1g net carbs per serving. 1. Mix all the ingredients in a small sauce pan. Cook over medium high heat until it boils. 3. Sprinkle some extra orange zest on top and serve. If you liked this low carb cranberry recipe, then you might like my recipes for Cranberry Greek Yogurt, Lemon Cheesecake with Cranberry Sauce or my Cranberry Pecan Muffins. I made this last year for Thanksgiving and everybody loved it. They had no idea is was sugar free. This looks so good. I love the orange flavoring from the zest. Can’t wait to try it. I’ve never had that sugar replacement. 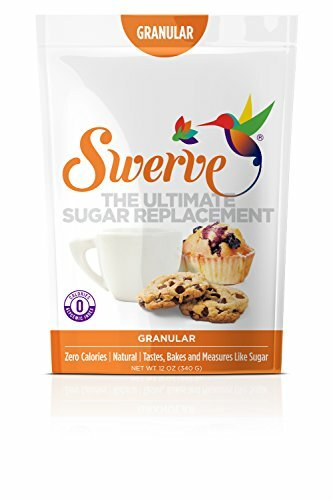 Is it a 1 to 1 replacement for regular sugar? The recipe sounds amazing… I’m definitely making this for Thanksgiving. You know, the Swerve package says 1:1 but I find it to be sweeter than sugar, so I end up using less of it. I kind of play it by ear for each individual recipe. It’s good stuff though. And it’s a zero calorie sweetener, so that is awesome. Absolutely love this cranberry sauce recipe,few ingredients and sugar free that what I want! Can’t wait to try it.